Imagine a job where you get to be outside all day enjoying nature without supervision, meeting attractive receptionists, and getting exercise while performing your favorite hobby. You don’t have to imagine long, because as the title of this post gave away, a bicycle courier gets all these benefits. A bicycle courier is a cyclist that rides around the CBD(Central Business District) of a city picking up packages and letters from one business and getting them to another business withing a short time frame. There are only three requirements for the job. First is a strong body. Riding a bicycle up and down hills for over eight hours a day is not as easy as say, brain surgery. Second is excellent map skill memory for it takes too long to use a GPS. All addresses must be memorized, as well as the entrances and delivery point of each business. Third might be most important of all. A love of all weather types for there are no days off. Blistering heat or typhoon are the same in the eyes of a bicycle courier. I was lucky enough to be able to perform this job, if I can really call it a job since it felt more like getting paid for my hobby, for six months in that most beautiful of places, Auckland. The experience will be imprinted in a special part of my mind until I am no longer part of this planet(I’m hoping to become an astronaut, not die). Auckland, as some people will know, is built into the hills. I do not mean it is built in a flat area surrounded by hills, it is actually built into hills. To go from the Harbour up the main street(Queen Street) to the motorway is probably the same elevation change as climbing Mt. Everest. I would ride up and down and around this area dozens of times a day. I remember one small side street that was so steep I could not ride my bike up it. I would either have to push my bike up or choose another way around. God I miss Auckland. Since New Zealand decided to drive on the wrong side of the road(Damn you British), I had a bit of trouble adapting. Bicycle couriers are aggressive by nature on the roads as time is money, and I had multiple close calls with cars when I first started out by crossing multiple lanes of traffic. Nothing gets your heart racing or feet pumping like turning into an oncoming dump truck. I believe this actually made me a better, or at least faster, courier. Fear is a wonderful thing. The weather is my favorite memory of the whole experience. I have never been shy of weather. Here is a little known fact. Water rarely melts people and dries fairly quickly, so it is ok to get stuck in the rain. It rains quite a bit in Auckland so most days were a little wet, but that was just fine as it cooled me off. What I wasn’t prepared for was a typhoon. It might just have been a serious storm but in my mind it was a typhoon so please humor me. The day proceeded as normal except with a few meters of water in the streets. I had to use a snorkel to get from place to place. It was amazing. A seperate day I hit a batch of wet pavement and slid a good distance. No damage was done except to my pride but people must have loved seeing a bicycle courier fall down, especially drivers. The receptionists at the businesses were also a perk of the job, or would of been if I hadn’t had a girlfriend at the time. Oh well, at least it was nice to flirt a little bit and enjoy the view. All day was not spent running from place to place non-stop. Sometimes there was a lull, and this was a beautiful thing. If I was down by the harbour I would sit on a bench and soak up the sun while watching the ships sail by. It I was near the domain(central park), I would lock up my bike and walk around a little admiring the flowers and green spaces. Even the packages themselves were sometimes fun. When I was new I once picked up a 3 meter long tube. It was supposed to be picked up by a car but there was an assignment mistake so I got it. I should have refused and asked for a car but I didn’t know better. So on that day people in Auckland got to witness an American wobbling through downtown on a bicycle with a 3 meter tube sticking out of his backpack. I dreadfully miss this time of my life. Even though the pay was low and the benefits nil, it was the most fun I’ve had in my life. It beats the hell out of being a chef, a job I hated but deeply respect). It beats being a fireman, a paramedic, an engineer, and everything else I have done. Dubai is the worst city I have ever been to. Actually it ties with Kuwait City but I will get to them later and make them cry into their solid gold towels. I know almost all of you will disagree with me and that is fine. We are all different. I have only known three other people that hate Dubai as much as I do. First a little background on my trips to Dubai. I have been there over 20 times because it was the hub when I worked in Saudi Arabia, so I have quite a bit of experience with the area. I have even spent a New Years Eve there. My first judgement of a city is the natural beauty, and Dubai has zero. Actually the whole Middle East has zero natural beauty. I hate the color brown and love green so I am biased against the Middle East. Just look out the window of your plane as you fly into the city. Sand, sand, and more sand. And then once you enter the city limits it gets worse because of my second hatred. Fakeness. It goes from nothing but sand to big beautiful houses with green gardens. It doesn’t get more fake than that. The amount of water they consume must be astronomical. The airport is beautiful and efficient. I have no complaints about the airport and enjoy flying through it. But step outside the air conditioned building and prepare yourself for an oven. Summer is a true bake off but year round it is hot. I once rode in an air conditioned taxi and when I got out my glasses completely fogged over so that I couldn’t see due to the heat. So everything is air conditioned, which glides me nicely into my next point. The pollution. The air in Dubai is disgusting. There are multiple reasons for this. One is that it is naturally dirty due to the sand and high winds, then their is the legion of air conditioners, and then finally is the amount of cars and distances they travel. Dubai is a gigantic city. Forget any thoughts you have about popping down to the shop to get a liter of milk. No no no. It will take you at leat five hours to drive to the nearest shop. Want to see the palm island from the airport. At least an hours drive on motorways with no traffic. Add an hour or two if there is traffic. It is terrible. Next on my list is that there is nothing there to do unless you want to pay a fortune. Want to drive a mini F-1 car? Sure, you can do it, but it costs. Skydiving? Sure, but pricey. You can do anything with money, but how about those of us without. You can sit on the beach which is ugly(I have been to Hawaii and Mexico and other beautiful beaches so I might have too high of standards). The beaches are nicer than Croatia. The other option is the mall. The malls are gigantic and beautiful, but after all, they are just malls. All the same shops you can visit anywhere else on the planet, except in Dubai you get to smell disgusting incense all the time. I did go once to swim with the dolphins and that was fantastic, but it was just a few minutes of enjoyment followed by days of disappointment. I guess my main problem with the city is the fakeness. I hate anything fake. Women with makeup, people with plastic surgery, people or businesses using loans to buy nice stuff, and cities that are truly a pit but with a gold covering. Dubai is a copy of Las Vegas, and while I also hate Vegas I would much rather be there as they have gambling, a walkable strip, and free shows(the Vegas water show is a hundred times better than Dubai’s). I will finish by saying that my New Years time was also a bore. I went to the tallest building in the world to watch the fireworks and it was packed with people as you would expect. I know this might sound like a dream to some people but I was bored to death. Dubai just gives me a negative vibe and I hope never to go back. When the oil runs out it will become to biggest ghost town in history. I hope I live long enough to see that day. Hungarians are the strangest people I have come across in my life, which is made all the more weird since they are in the middle of Europe and surrounded by cultures I like. Let me begin with their physical appearance. A german looks German, a Swede looks like a Swede, a Brit looks like a Brit, a Slav looks like a Slav, an Arab looks like an Arab, the Japanese look Japanese, and an Indian looks Indian. Every country on this planet has a look. Even Americans look American. It is easy to tell an American black from an Ethiopian. Hungary is the only country I know of that doesn’t follow this rule. They have no identity at all. They look very plain. I cannot even say that they have mixes of German, Turkish, or Russian, because they don’t look like it. Go to Hungary and try it. Sit in a cafe and guess peoples nationalities. It will be easy with the tourists, but Hungarians you will mistake every single time until you hear them speak. Then their is their attitude. I have two complaints about it. They are the most negative people on the planet and also have an unhealthy, almost religious, obsession with food. Lets begin with their negativity. Most of them act like dogs that have been beaten. They never smile when walking and forget about anyone saying hello or good day. 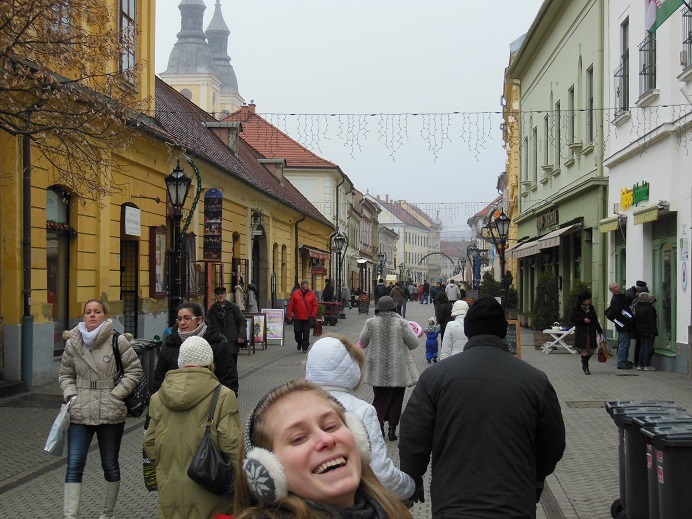 I was told by some Hungarians that if you do smile to strangers they will think that you have a mental problem. This all goes out the window once you have befriended them. Then they become extremely nice and hospitable, showering you with food and drinks and making you feel like an honored guest in their house. I feel it my duty here to tell you the golden rule of Hungary. ‘Never refuse a palinka when offered’. Palinka is the Hungarian drink and forms a bond between you and the host immediately upon sharing one. Refuse and you will make a lifelong enemy. So do not visit Hungary if you do not drink. If you do visit prepare your liver for destruction. Real palinka made by grandfathers, and not the store bought stuff, is extremely strong. Drinking it has resulted in my only blacked out night. So prepare yourself. Beyond this they always think the worst of every situation. To illustrate this point I will tell the story of a girl I knew. She was applying to get a job and had an interview. I wished her luck, helped her practice the interview questions, and told her she would do great. He parents, yes her own parents, told her that she probably wouldn’t get the job and not to get her hopes up. That about sums up their attitude to life. I guess it is from being such a poor country under the Soviet Unions boot. Being poor might also explain their facination with food. Where the British greet each other by asking about the weather, Hungarians greet each other by asking how their last meal was or what they are going to eat. 90% of any conversation concerns food. Hungarians also seem to have extremely poor decision making skills. As a country they have been on the wrong side of every war. Even now they are the most zenophobic country in Europe and the Prime Minister is a complete and utter moron. But I do give them some credit for the obviously evil Jobbik party not winning, though they did come close. They seem to refuse to learn English, which is weird and stupid when compared to Poland. Most poles learn English and take advantage of the EU and go work in the UK. But as you can guess Hungarians don’t learn English and don’t take advantage of the EU. Instead they get extremely low paying jobs at home and then complain about it. So Hungarians are the weirdest people I have ever met. If food is your enjoyment in this life or you ever feel a need to be surrounded by negativity then I recommend you move to a Hungarian village. The cost of living is almost nil, so go ahead and do it today. Poland is my second favorite country on the planet. That might sound strange, especially to a Pole, but it is the truth. My reason for this is not a sound one based on any tangible facts, it is merely because I always felt comfortable and at home while there. This opinion is not based on a weekend or summer holiday in the country, but on living there for about two years in multiple areas. As this is an overview I will stick to generalities of the country, with individual stories of the cities and villages to come later. First off, Poland is a very large country but is not a melting pot like Germany. In my two years there I cannot remember ever seeing a black person outside of Warsaw. So it is highly Slavic, which is fine by me as I love Slavic women. And that takes me to my first love of the country, which is the people. I have already mentioned that the women are beautiful but beyond this they dress well and are good with cosmetics. I have found that only Russian are better are showing themselves off and are the only people on the planet trained from birth to walk in heels. But beyond the superficial beauty I found them all intelligent, educated, fun, and interesting. Some of the best nights of my life were sitting in a pub drinking wine, laughing and having interesting conversations with a Pole. And I do not mean only the women. I also had some male friends that were the same. This is a huge difference from Russia where I found all the men to be worthless drunks. So the people are a huge attraction. My next love was the safety. I have never felt so safe before. I would walk anywhere by myself at any time of day or night. Many times after leaving the pub I zigzagged my way through dark streets and never had an issue. There was only once that I felt uncomfortable and turned around and that was a street out of the center in Krakow with a few locals hanging outside their BMWs in a group. For comparison there were many places I would not walk in Washington D.C., San Francisco, and all other US cities. I never felt safe or comfortable in Hungary, and I didn’t even like going out alone in the daytime in Russia. Maybe I was just lucky, but I tell it like it is. Here is my biggest love of Poland. The history! I am a fan of military history and Poland has it is spades. Yes, Hungary has an interesting history as well but the Turks don’t interest me near as much as the Nazis. The Polish history is facinating. I couldn’t get through their history books fast enough. The only reason I liked Warsaw was that every corner of the city has some mark from the war. Walking the streets it would take me hours to go a few blocks as I would stop and read all the plaques and touch the walls. I dreamed of the Warsaw Uprising when I slept. It was all so magical. I’ll sure the locals would call the memories by a different name but for me it was incredible. I also know of no other country that didn’t exist, then re-existed, then didn’t exist again and so on. I recommend you read some history books about the country before visiting or while riding the trains around. The ryneks! These are the main squares. Warsaw doesn’t really have one but all the other cities do. Full of restaurants, clubs, and pubs, they are beautiful areas that fill with people sitting outside in the summer. I used to spend hours sitting outside with my friends drinking beers and watching people walk by. It is darn near my idea of a perfect city center. Should I continue? I think not. I try to keep these posts short so you don’t get bored, but do not think for a moment it is for lack of material. But I will discuss some of the problems with Poland. Oh yes, it has problems just like anywhere else. It is so religious that it is scary and that holds them back a bit. They are homophobic, racist, etc. Gay bars have to lock their doors and only admit people they know(My best friend in Poland is gay). The government is poorly run, though they have improved by leaps and bounds lately. In the winter the whole country smells of coal, but I actually enjoyed the smell, plus I don’t mind losing a few years of my life. I think we all live too long anyway. And I think that is about it. I’m sure for residents there are more complaints but I don’t really have any. It is a wonderful country to visit and just icing on the cake if you enjoy military history. In later posts I will discuss my experiences in the individual cities where I lived, inlcuding Warsaw, Krakow, Torun, Poznan, and Wrolcaw. The short and quick of it is that New Zealand is my favorite place on the planet. Lets delve in a little deeper and see why that is. Let me start by saying that I have not just traveled through New Zealand, I have actually lived among the Kiwis. I worked for a couple of months as a bicycle courier in Auckland and as a chef on the Southern Island, but those are both stories for another time. Natural beauty. It is well known that New Zealand has it and it is incredible. Anyone who has seen Lord of the Rings(Terrible films) knows about this, but it goes deeper. There are many beautiful and amazing places on the planet but there is something special about New Zealand that I cannot put my finger on. The few days I spent at Milford Sound was my heaven on Earth experience. Again, that is a story for a later time. Auckland and Wellington are built into the hills which I love. Going into the first floor of a building on one side and existing on the 7th floor through the other side is an amazing experience. I could write a novel about the natural beauty but for this blog I believe I have said enough. The activity of the people is another huge benefit of the country. Cycling through the country, skydiving, bungee jumping, paragliding, rugby. The people love being outside and that suits me just fine. I’m so tired of everybody sitting inside watching TV and sitting on the computer. They take sport so seriously that when I asked if I could play rugby with them or join a beginners team they said no way since I hadn’t been playing since I was a child. They would have killed me on the pitch. I love that they refuse to let any American navy ships into their seas since America ignored their rule of no nuclear powered vessels in the water. It was strange to see a Chinese warship ship docked in Auckland but no American ships. I have a few items I wish they would change though. Driving on the wrong side of the road is one, though it does make going through roundabouts and parking lots extremely exciting. The architechture is terrible. I wish the buildings were a bit more attractive. I wish it was the perfect country but it suffers from the same issues as everywhere else, such as tearing up the cargo railroad lines because the truckers lobby asked them to. I really wish I could put on paper why I love this country so much but it is impossible. It is just a feeling I had when I was there and have never gotten anywhere else. If you have never been you really have to go and put up with the 50 hours flying time. I will add a little disclaimer to this. If you are the type of person that likes fake beauty, then Dubai and Las Vegas are for you. But if you are like me and care more about natural beauty and less about what man can make, then New Zealand is your paradise. 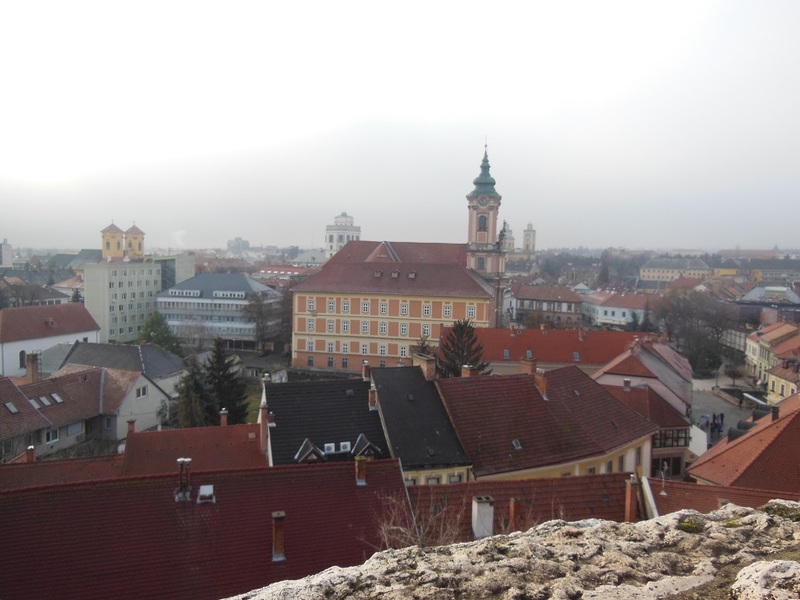 You have probably never heard of Eger, and there is a reason for that. Eger is not Budapest. All visitors to Hungary stay within that beautiful city. Actually, let me adjust that statement. If you are German you are probably also familiar with Balaton Lake, which happens to be the biggest lake in Europe but that is for a different story. This lack of travel outside of the capital is a shame. Even though Hungary is not a beautiful country it does have some worthwhile sites, and Eger is one of them. Let us begin with my favorite part of Hungary, the wine. The Eger area makes fabulous red wine, and they have a wonderful spot to enjoy it. Within walking distance of the center is a square of near one hundred wine cellars where you can go wine tasting. From the outside they don’t look like much but inside some of them are fabulous. Some have three or four levels where you can sit and enjoy wine and make friends. The stone and brick cellar combined with wooden tables and chairs makes a very inviting environment, especially on a hot summer day. I need to say something about wine tasting in Hungary at this point. This is not your normal sniff and little sip. A “taste” of wine in Hungary is a full glass. Sometimes they even skip the glass and the host will just pour the wine straight into your mouth from a long glass tube. This is quite fun. I highly recommend it. And when you make your zig zag way out of the door do not forget to buy as much as you can. One Euro will get you a liter or two of this liquid gold. Continuing on to the city itself. It is not very impressive. By Hungarian standards it is in the hills. There is a castle in the center that offers good views of the city, and the center itself has just been redone, but in a poor manner. While not beautiful or too intersting it is a nice place to spend a few days. I can sum up Eger with one sentence. If you enjoy excellent and cheap wine, visit it. Why do people refuse to learn from history? Let me explain what I mean. Just a few hours ago a Russian fighter plane was shot down over the Turkish-Syrian border. Could this have been foreseen? Of course. There are many examples of similar incidents happening. It has even happened to civilian airliners(See Korean Air flight 007). Why did it happen? Very simple. One country was defending its territory. Will it get worse? Absolutely. What we have here is a well known and dangerous situation. Many different cultures and nations pursuing different agendas are operating in a small area. Throw into the mix a terrorist organization that has the world on edge and we have a critical level of danger similar to the beginning of World War I. Actually, let us look at World War I for comparison. Europe was extremely nervous and distrusted its neighbors. I believe we can fit this into the modern situation perfectly. Think West-Russia, West-Iran, West-Syria, Sunni-Shia, etc etc. Everyone is scared and distrustful of everyone else. An arms race. Europe had an arms race to build the best killing machines and show them off as a deterrent(Which is an idiotic idea that we still believe in). While that arms race has always continued we can say it is serious now between Russia and the USA since Russia wants to prove its power. How about a grouping of nations in the name of self defense? NATO, check. Nationalism helped fuel World War I. Do we have that now? Of course. IS is helping promote this and we are fueling it. Just look at Americas reaction to the French attacks. Lock the country down and keep Arabs out. So we have Nationalism. And since I mentioned IS how about the terrorist aspect. Yup, here we also have a perfect connection. A terrorist act actually set off the spark that started the war. Could IS possibily be that spark. If you don’t think so you have a truly serious sight problem. So we have all the ingredients for a major conflict and it isn’t getting any better. France is sending an aircraft carrier as well as more planes, America is sending special forces, Turkey is getting more involved, Russia is in deep as is Iran. With so many different nations and cultures more incidents will happen. IS will just fan the flames creating more nationalism, hated, and fear, and the world will get ugly. I don’t want it to happen, but unlike most people, I read history books and think.